Learning management systems are tools for companies and educational institutions. They are easy to use and can be adopted by both small businesses and big enterprises to manage online learning programs. The main benefit of using a learning management system is the ability to prepars solid course resources or curricula to educate their students and staff, enabling them to test their competencies and get certifications in the areas connected with their tasks. The learning management system industry is considered among the fastest-growing software sectors for more than years. At present, the learning management system business has become really big; it is now considered a billion dollar-plus industry, with competing products numbering to hundreds. Content development as well as management. This feature gives institutions and organizations the capacity to produce their own content as well as design and delivers course content and other materials within a learning management system. Training administration. Learning management systems can help users organize as well as simplify training administration tasks, including processes such as managing user information, distributing training content, overseeing course enrolment, and scheduling. Curricula setting. What is curricula setting in a learning management system? Well it basically means that users can organize and combine courses according to specialization and focus area, as well as the capacity to assign and even unassign courses. Certification paths. A comparison of what is the best learning management system available nowadays would show that among the common functionalities of such systems include the establishment, tracking, as well as managing of certification programs for industries or fields that need certification for the employees to do a specific task or job duty. Employee self-service. Using a learning management system, employees or learners can have access to the training materials and learning courses using their own devices. Some learning management systems offer this feature even in their free or demo versions. Proficiency testing and reporting. Learning management systems can create examinations to evaluate employee skill or knowledge. Because of this reporting and analytics functionality, learning management systems can help companies determine the proficiency of their staff as well as identify learning gaps. Electronic recordkeeping. Learning management systems can centralize employee training records, allowing users to quickly access test scores as well as course data using a single system. The right learning management system for your business will have to depend on your business needs. What is the best learning management system for my business? Companies obviously have different needs, wants, strategies, and goals. So what is the best learning management system for you? It will have depend on the needs your business has or what you want the learning management system do for you. For example, before buying a learning management system, ask yourself first what type of buyer you are. Many buyers of learning management systems usually fall into these categories. Education-industry professionals. Probably the schools and universities are the most obvious or prevalent type of buyer. After all, the entire purpose of schools and universities is to facilitate the spread of information and knowledge. Many courses that are being offered at the secondary as well as university levels are offering access to course content, including assignments, syllabi, as well as testing information using learning management systems that are specifically created for the education field. Corporate training professionals. Learning management systems also have a big presence in the corporate training industry. They especially have large presence in industries that are highly regulated and where employees have to attain specific licenses or certifications or licenses to follow the standards set by the industry itself or by the government. Such fields would include food preparation or aviation. 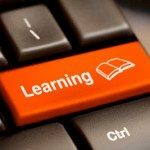 While some learning management systems are specifically geared for use in universities and school, there are also learning management systems that are especially designed to cater to the needs of corporate training professionals. Before doing your research process on learning management systems or compare services, you should also take into consideration some of the current market trends. Consolidation. Many of the so-called “best-of-breed” programs (those programs that are focusing on learning management systems only, as compared to the “integrated suites” tools that may offer a number of software applications) have been absorbed by bigger vendors that want to provide more functionality and features in their talent management suites. In April 2011 for instance, SuccessFactors (which is now an SAP company) acquired Plateau Systems, regarded as one of first learning management system for employee training and human resources development in the industry. Consolidation allows companies and institutions the chance to take advantage of bigger resources. However, this may also result in to temporary disruptions as learning management system products become integrated and the offerings rationalized. Software-as-a-Service (SaaS). A popular deployment option these days is the SaaS learning management systems, as companies and institutions now realize the advantages of using one, such as reduced upfront costs and quicker implementation time. SaaS provides an Internet-based option to add new functionality as well as greater accessibility for learners, whether they are students or employees of a company. 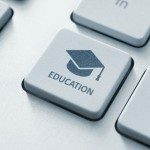 Although best-of-breed SaaS learning management systems may give institutions and organizations some capacity to reconfigure or customize the system they are using to meet their specific needs, some customization options however may be limited. Social learning. In order for them to help institutions and organizations improve collaboration among the employees, some learning management system providers are now integrating social learning functionalities to encourage an environment that is more community-centric. These social learning functionalities may include chat, news feeds, announcement portals, employee profiles, among others. Some learning management systems may even integrate user profiles from Twitter of Facebook to spur participation as well as networking within the platform. However, buyers like you should first evaluate if your business has a real need for a learning management system with social features as opposed to a purely internal social network system. Kineo provides more information on how you should choose your learning management system. 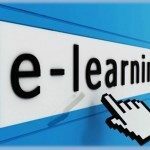 Connect Thinking also has tips on how to implement a learning management system.